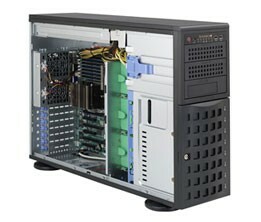 Our Supermicro Tower Cases are designed for system integrators who build high-quality systems that perform and look great. 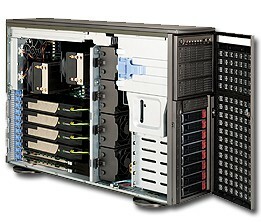 it can be perfectly fitted as a rackmount or a tower system. 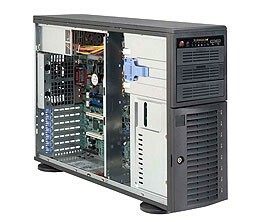 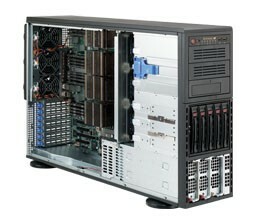 Supermicro's SC745 Chassis series is optimized intel and AMD dual processor-based motherboards. 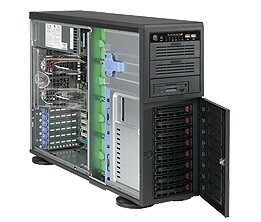 8 hot-swap 3.5" drive bays, this chassis offers reliable performance with problem-free maintenance. 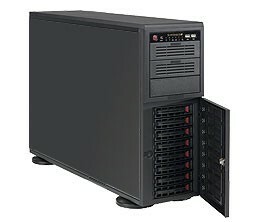 heavy duty hot-plug fans and hot-swappable drive bays (with mobile rack upgradeability).